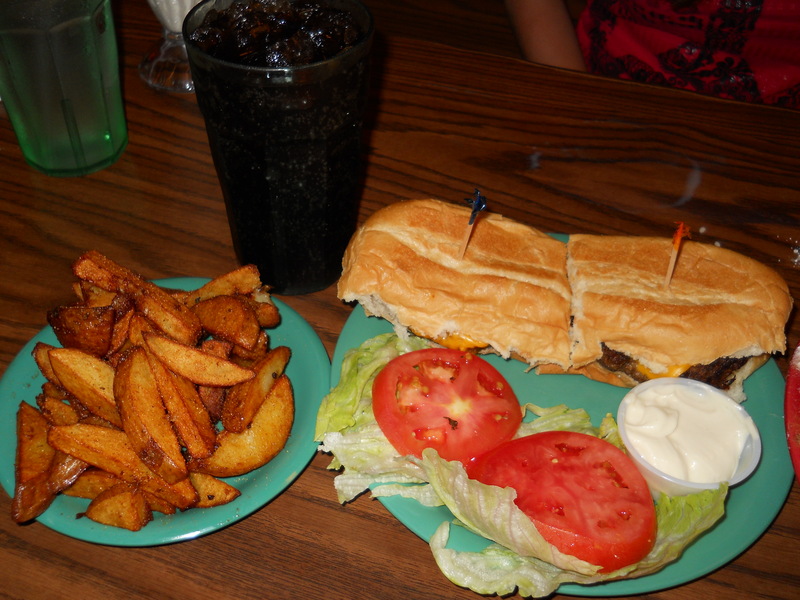 Yana’s Ye Olde Drugstore Restaurant….it’s YUMMY!! I ventured out today in search of something yummy to write about. My daughter and I headed out to Swansboro, NC. It’s about a 30 minute ride for us and is one of our favorite places to go and spend time together. It is full of quaint little shops and very friendly people. 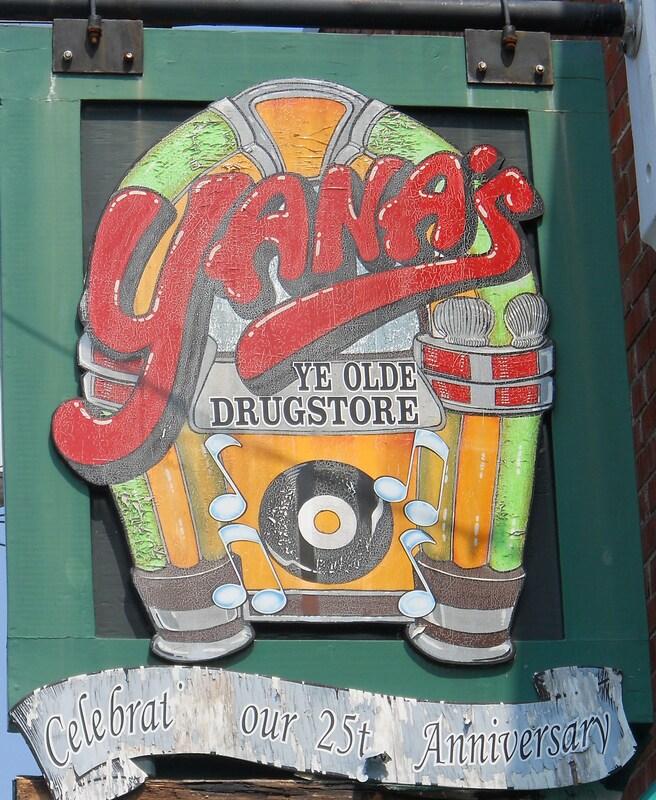 Although there are plenty of places to stop and eat throughout the town, a favorite of ours (and absolutely loads of other people from all over the world) is Yana’s Ye Olde Drugstore Restaurant. 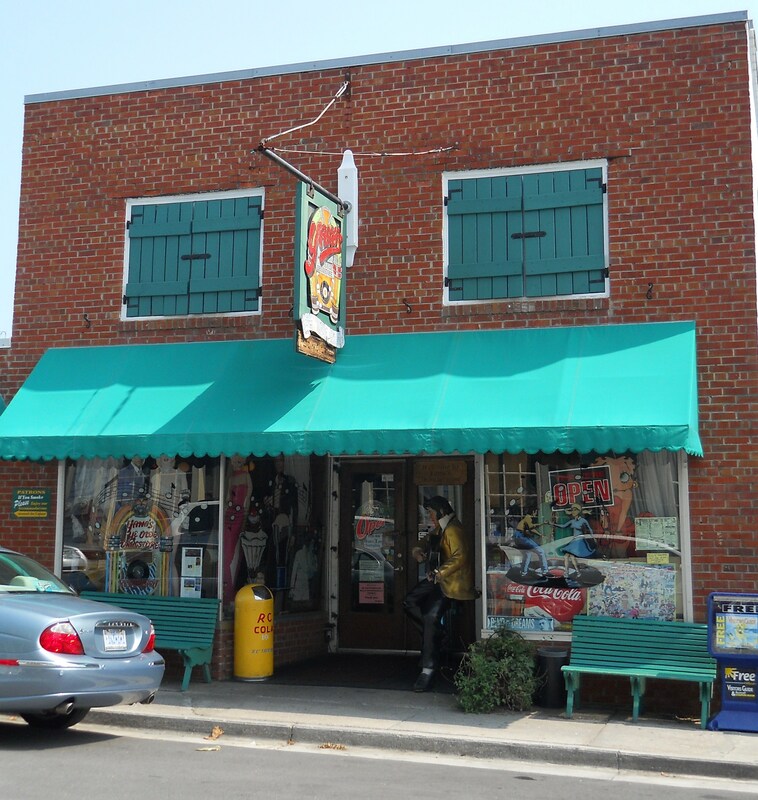 It is located on Front Street and sits friendly and inviting on the banks of the White Oak River. The restaurant’s owner is Evelyn Moore. She is a lovely woman and has such a warm and friendly personality. You can’t help but be immediately drawn to her. She chose to decorate Yana’s in a 50’s theme. Cordial and accommodating staff greet you as soon as you enter, making you feel like you’re part of the family. A jukebox stands at the front of the restaurant, belting out your favorite sock-hopping tunes. There is more memorabilia on the walls than you can take in during one visit. Marilyn Monroe, Elvis and James Dean, along with many others, are there to welcome you. Yana’s serves the yummiest, homemade Southern food. Big, juicy hamburgers, mouth-watering hot dogs, crunchy onion rings, delicious fries and their wonderfully thick milkshakes. 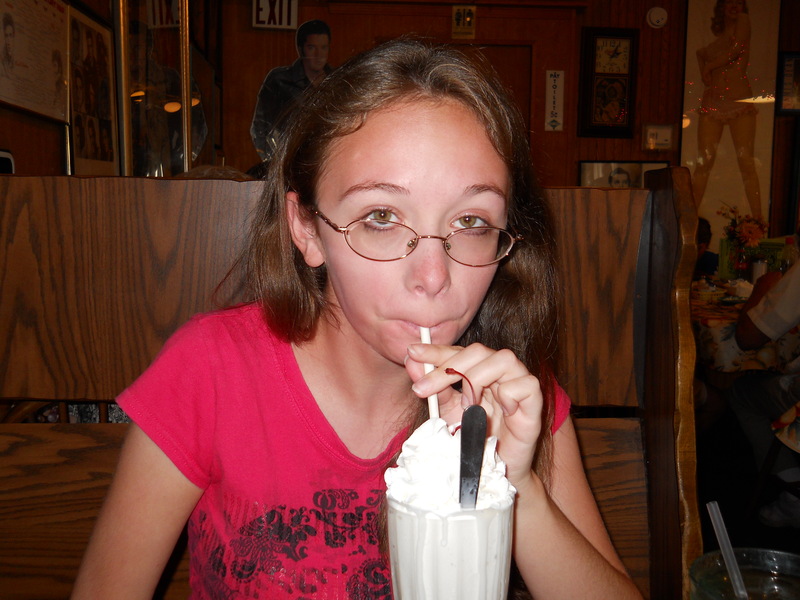 The vanilla milkshake is a must have for my daughter when we eat there. The 50’s theme is another reason she likes to go there. Everything about it appeals to her…the music, the movies, the stars. Sometimes, I think she was born in the wrong era. Without a doubt, one of their most popular items are the fruit fritters. 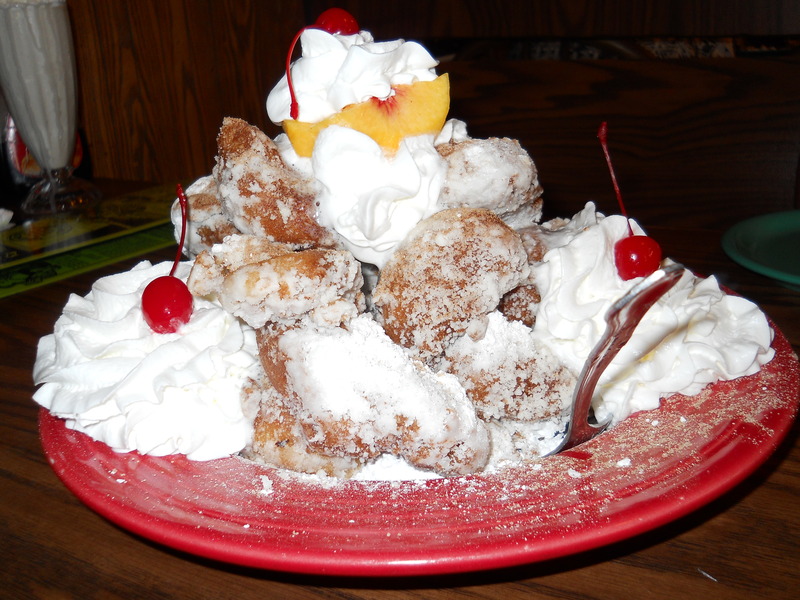 When my daughter and I went today, Evelyn had a heaping plate of peach fritters delivered to our table. They are absolutely a little piece of Heaven. One of the yummiest things you will ever put in your mouth. We brought these home with us and I cannot wait to have them tonight with a fresh cup of coffee. I asked Evelyn, or YanaMama, as she is affectionately known to her dedicated and faithful staff, what her favorite thing about her business was. She said it was definitely her customer base, that they are like family. I also asked for her best piece of advice about life and she said, “To always be optimistic. There is always a bright light and even though there will be ups and downs, the ups are worth way more than the downs.” She also said you have to treat people right and you will receive that in return. Lastly, I asked Evelyn what her favorite quote was and she said it was one by James Dean: “Dream as if you’ll live forever. Live as if you’ll die today.” I like that a lot. I think that’ll be one of my favorites, too, Miss Evelyn. There was a book recently published about YanaMama and her restaurant entitled: Yana’s, A Taste of the Past, Where Goodbyes Never Happen. It was written by Georgie Stone-Wilson and I picked up a copy of it today at Yana Mama’s Memorabilia Shoppe. You see, Evelyn has a store that is attached to the restaurant and it is filled to bursting with 50’s memorabilia. My daughter loves to buy purses (another favorite thing of hers) at this shop. Right now I’m kicking myself for not buying that I Love Lucy umbrella I saw today. I’m thinking one day I need to own that Lucy and Ethel lunchbox, too, and fill it with “Yummy” things! So, the next time you are looking for something YUMMY, stop by Yana’s Ye Olde Drugstore Restaurant and have some good, old comfort food. 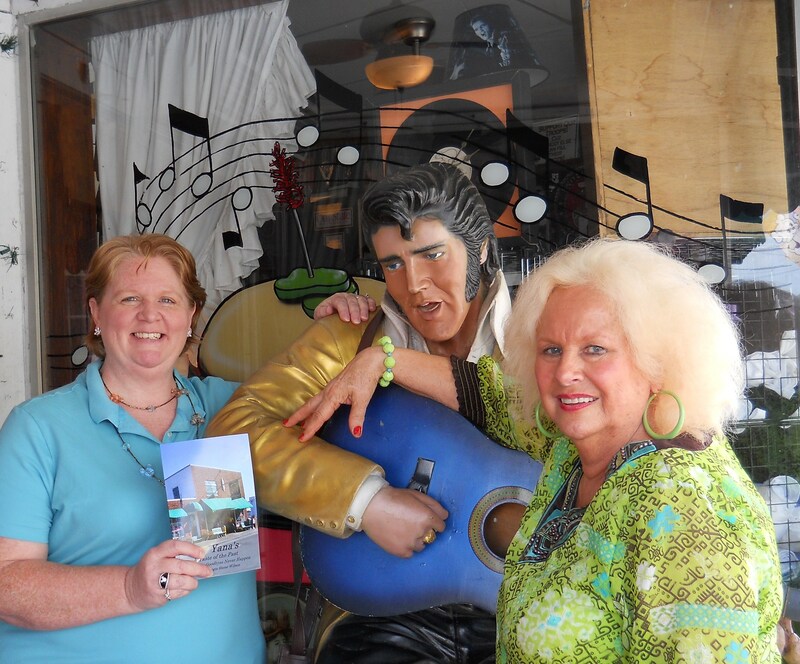 Then go next-door and get yourself a little piece of the past from Yana Mama’s Memorabilia Shoppe. I love books and I will cherish the one I bought today as Evelyn was kind enough to sign it for me. Maybe one day I will meet Georgie Stone-Wilson and get her to sign it, too. Let’s talk yummy, shall we? When I think of yummy, the first thing that comes to mind is food. By definition, yummy is something very pleasing to the senses; delicious; anything that is extremely attractive or appealing. I can think of lots of things that are pleasing to my senses and attractive or appealing to me. As far as I can see, that leaves me wide open on this blog. Other than writing about the obvious yummy things… food, cooking, baking, I also want to include other things I find yummy (and also therapeutic! )… Disney, my favorite websites, finding a good deal, shopping, my favorite restaurants. The world is my oyster. Which, by the way, I find to be slimy and not yummy, but that’s just me! From time to time I’ll include a post about what’s going on in my personal life. Afterall, this blog is a huge step in a forward direction for me. I need something that is all mine. Something that I can control and that will prove to be therapeutic for me. So, follow along if you’d like. I’m hoping that somewhere in future posts you’ll find something that you consider YUMMY!